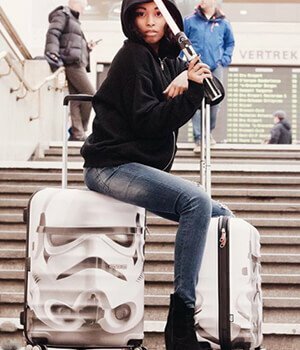 Are you a heavy packer looking for a dynamic suitcase to travel around the world? 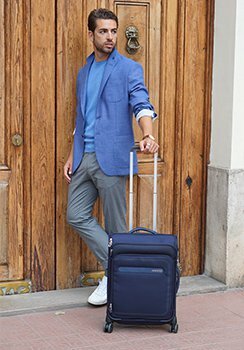 Check out the extra large Air Force 1 suitcase: a unique and comfortable 4 wheel suitcase ideal for longer trips, which comes with recessed TSA lock to keep your belongings safe and secure. The colourful interior has elastic cross-ribbons and a mesh divider with zipped pocket to keep everything in place. 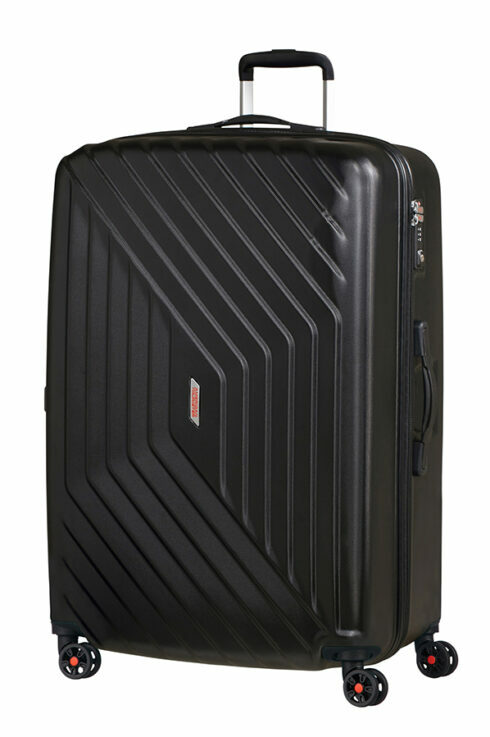 Soft touch carry handles and smooth rolling double wheels allow you to glide around with ease! Available in the following sporty colours: Flame Red, Galaxy Black and Insignia Blue.